Paul Menard and the No. 21 Menards/Cardell team appear to be getting their qualifying program back on track. On Friday at ISM Raceway near Phoenix, Menard advanced through all three rounds of knock-out qualifying to secure the 11th starting spot for Sunday’s Can-Am 500. 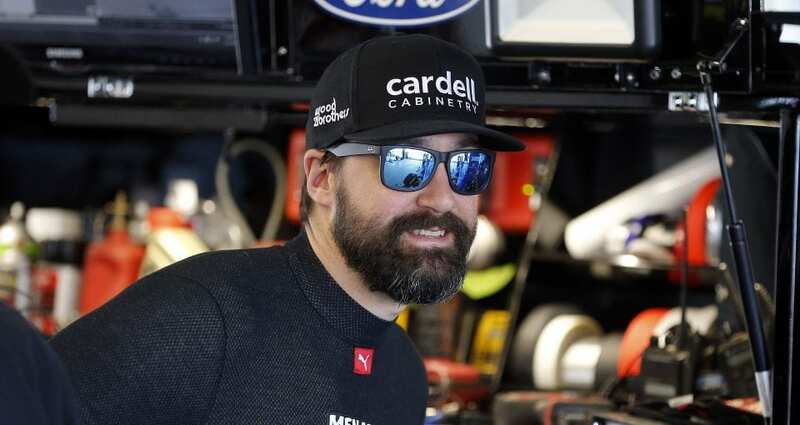 It was the second straight week that Menard qualified 11th, the first coming at Texas Motor Speedway a week ago, and the ninth time this season that Menard and the No. 21 team have been among the top 12 qualifiers for a Monster Energy Cup Series race. Menard opened the day at Phoenix by posting the 13th-best speed in practice with a lap at 136.893 miles per hour, which he posted on his fourth of eight laps run. Then in qualifying, his speed of 137.258 mph in the opening round was 12th fastest, easily earning a spot in Round Two. In the middle round, he ran his best lap of the day, at 138.686 mph, which was fifth fastest and put him in the elite 12 for the final go against the clock. But his No. 21 Fusion was a tick of the timer slower in the final round, and his speed of 137.889 mph placed him 11th. “We just have been struggling on entry,” Menard said. “It seems like as the grip comes up and you try to charge the corner a little bit harder I just got looser in [to the corner], so the last round wasn’t our friend. The Menards/Cardell team will have two practice sessions on Saturday to perfect a race set-up for Sunday’s 500-kilometer, 312-mile race. The first practice is set to start at 11:30 a.m. Eastern Time and will be broadcast on CNBC, with the second starting at 2 p.m. with coverage switching to NBCSN. Sunday’s race, which also will be carried by NBCSN, is scheduled to start just after 2:30 p.m. Eastern Time.